According to the newly-issued “Sanya Tropical Seaside National Scenic Spot Luhuitou Project”, Sanya plans to build Luhuitou as the best platform for a bird’s eye-view on downtown Sanya and bays. Surrounded with large numbers of construction sites, Luhuitou scenic spot is scarcely visited by tourists. 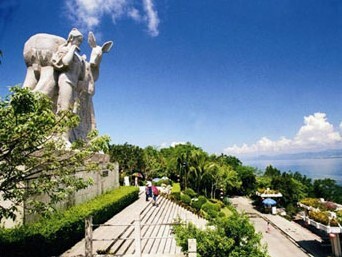 As a must-visit landscape linking to downtown Sanya, Luhuitou scenic spot will be set up in the form of 5 “stockade villages” with 6 functional areas including Xianlu Bar Street, Luding Village, Shanmeng Village with roses sea, Lianzhu Village with Li-ethnic group tradition, Nursery Plantation with scenic areas and Baolong Village with animal and plant protection functions.